It all comes down to this… it is the final stretch for these uncommitted recruits. These are the top remaining recruits on Alabama’s board and the prediction on where they will be committing on National Signing Day (February 3rd). This page will be updated as they commit. Derrick Brown is a top defensive talent who will be choosing between Tennessee, Auburn and Alabama. Brown had an official visit to all three with Tennessee having the last shot at him. Georgia at one point was looked at as the favorite for Brown before he named his top three. There is not a strong favorite in the running, but I think Brown ends up picking Auburn. Ben Davis’s recruitment will come down to Georgia, Auburn and Alabama. He is an Alabama legacy as his dad is Wayne Davis, the all-time leading tackler for Alabama. The hire of Kirby Smart helped the Dawgs out and Auburn still has a chance, but I don’t think it will be enough. Kongbo is the top uncommitted JUCO recruit out there and will be a huge piece to any recruiting class. After having some momentum early, Alabama chances have soured recently. It looks like this will come down to Tennessee, USC, Florida State, and Ole Miss. I think the late visit to USC helps clinch it for the Trojans. Mecole Hardman at one point was trending with the Tide near the end of his recruitment. However, a canceled official visit on January 22nd due to the winter weather. Hardman ended up making the trip to Athens instead and by all accounts had a great time. He will be choosing from seven schools (his mom will be making a cake for each one) including Ohio State, Florida, Clemson, Georgia, Alabama, Michigan and Tennessee. Look for it to be a two team race though between Bama and the Dawgs. There are reports out there that Demetris Robertson will not be signing on national signing day. He has scheduled a visit to Georgia after national signing day and there is no timetable for his commitment. He has a high priority on academics as he will have a final list of Cal, Stanford, Notre Dame, Georgia, Georgia Tech and Alabama. Alabama will try to reel in the former commit, but it will be tough to beat out Notre Dame. Lyndell “Mack” Wilson has highly publicized his recruitment and it is now down to two schools. Georgia and Alabama are the finalist even though Wilson had Florida as the leader throughout the process. Wilson canceled his official visit due to a miscommunication between Florida and his mother. Alabama is on a full court press for Wilson as they try to become the leader. The Kirby Smart hire helped Georgia, but I think Alabama keep Wilson in the state. Jeffery Simmons is a phenomenal defensive lineman who will be tough to pull out of the state of Mississippi. Ole Miss, Mississippi State, Southern Miss, Tennessee and Alabama are the finalists for the defensive end. Alabama has a real shot to bring Simmons to Tuscaloosa, but I think he ends up staying in state. Jack Jones is an exciting defensive back from California. Alabama has been trending with the smaller defensive back, but he is most likely to stay in California. The final five are Alabama, USC, UCLA, Texas A&M and Oklahoma. However, this looks like a UCLA-USC battle. A.J. Brown is an incredibly talented wide receiver. However, the challenge again will be pulling a talented player out of the state of Mississippi. His finalist are Ole Miss, Mississippi State, Alabama, and Cal. I believe Alabama switches the luck it has had in Mississippi though with Brown. Devin Asiasi is a talented tight end, as well as a good defensive end recruit as well. Michigan is heavily after him and he could very well end up going there. He had a good visit with Alabama, but I think he ends up staying in state. His final five are Alabama, Michigan, USC, UCLA, and Washington. Dickerson’s recruitment really started looking like an Alabama lean after his January 22nd official visit. Most of his recruitment Florida State was looked at as the favorite and they still could very well come up with Dickerson. It will be hard to beat Alabama though with the momentum they are going into National Signing Day with. Tennessee is the dark horse in this race. His finalist are Florida State, Alabama, Auburn, Tennessee, and Florida. Shy Carter was an Alabama commit until he backed off of that commitment in August. Five months later Alabama is looked at as the heavy favorite for Carter. The one team that could spoil Alabama’s pursuit is Ole Miss. Carter has two infant daughters and says they are a major part in his recruitment. He has stated that he thinks Ole Miss treats his daughters the best. I still think Alabama pulls off the Shy Carter commitment regardless. Warrior is down to three schools with Tennessee, Alabama, and Auburn being the finalist. Tennessee is the major favorite as his dad, Dale Carter, was a first round pick. Alabama will make it close, but Tennessee should have the edge here with the Volunteer legacy. Nigel Knott will be a battle between staying close to home or going to Oregon. Knott’s family wants Nigel to stay closer to home where it’d most likely be Ole Miss or Alabama. Nigel is publicly a big fan of Oregon, but I think the family wins out on this one. Look for Knott’s last official visit to Ole Miss clinch it for the Rebels. Mississippi State will be the dark horse in this recruiting battle. Terrell Hall was a late riser in the recruiting process, but is a monster up front. The one time Ohio State commit is down to Alabama, Florida State, Maryland, and Ole Miss. Florida State and Ole Miss are both pushing hard for Hall’s commitment while Maryland is trying to keep him in the hometown state. I believe Alabama has finished strong with Hall and will end up with his commitment. There was a bit of good luck as well where he had to stay an extra day on his official visit due to weather. Dontavious Jackson is one of the top linebackers in Texas, but his recruitment has been from teams around the nation. Where Jackson will go is one of the tougher ones to figure out as Alabama, Florida State, and Texas are his final schools. Alabama has a very good shot at him, however I think he will end up staying in his home state. Michail Carter has a decision between Clemson, Alabama, Georgia and Georgia Tech. Alabama got a mid week official visit from Carter, but Georgia will get the last chance at him. I don’t think Carter ends up leaving the state as Georgia gets another quality recruit. Gavin is down to two schools, Florida State and Alabama. Florida State is the hometown team as Gavin lives just 30 minutes away from Tallahassee. However, Gavin and his family are pretty big fans of Alabama during this recruitment process. I think Alabama ends up being successful pulling Gavin out of Florida. COMMITMENT: GAVIN ENDED UP CHOOSING LOCATION AND COMMITTED TO THE SEMINOLES. Mayden decommitted from Oregon about three weeks ago and since then Alabama has been all over him. In the short time the Crimson Tide have been recruiting him, they have shot up to be a finalist for this cornerback recruit. His decision will be between Alabama and Oklahoma, where his dad was a basketball player. I think Alabama’s late surge is enough to land his commitment. Tramonda Moore is a big offensive tackle who has Oklahoma, Oklahoma State, Alabama and Miami on his list. Unfortunately, this is looking like an in-state battle for the very good offensive lineman. Look for Oklahoma to edge out Oklahoma State. Alabama was trending with Jauan Williams, however near the end things have not looked as promising. Williams has Florida State, LSU, Oklahoma, Texas A&M and Alabama as the finalist. It looks like the Seminoles will end up winning this recruiting battle. Richards was a Miami commitment until he backed off of it a few months ago. Right after the decommitment Alabama became the favorite. Miami has made a late surge with Auburn and Tennessee also in the running. It will be close, but I think he ends up going back to his Miami commitment. Kobe Jones is a quality defensive lineman who has been very busy with official visits. Ultimately it will come down to Mississippi State, Ole Miss and Alabama. Look for Kobe Jones to stay in the state. Jones is down to the three schools of Alabama, Tennessee and Ole Miss. He has taken official visits to all three, but it looks like it will come down between Ole Miss and Alabama. Mykel Jones could very well choose Alabama as he went to the same college as Daylon Charlot (Freshman WR for Alabama). 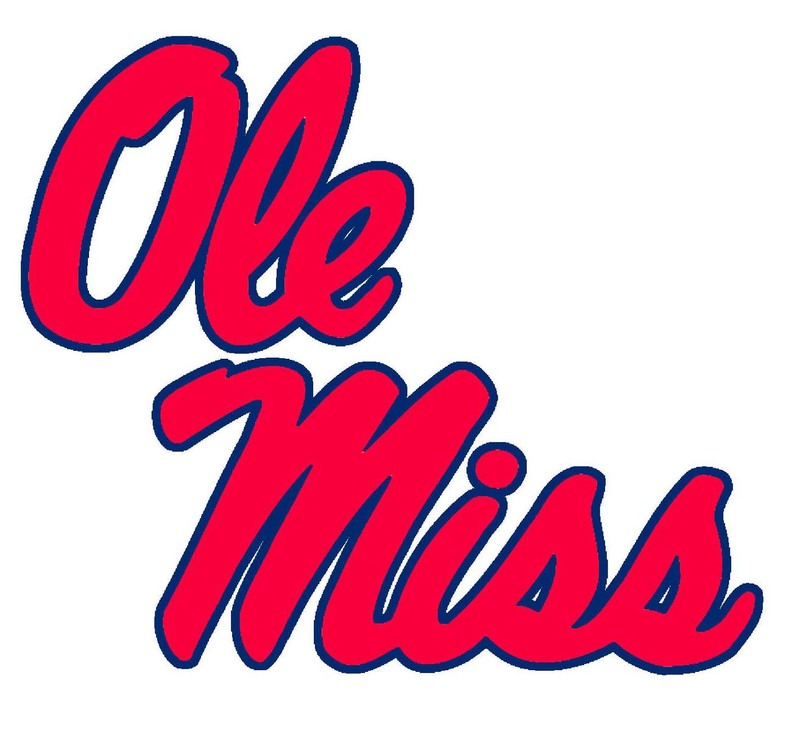 However, I think Ole Miss has the slight edge. Alabama is trending for Lashley and they may end up stealing the Mississippi product. However, it will be tough to pull him away from Mississippi State. I think when it is all said and done he ends up a Bulldog. Alabama already has two tight end commits in this class so it is unclear if they have enough scholarships to bring in another tight end. However, they would make room for Mathis. His final list includes Michigan, Alabama, Florida and Ole Miss. He will probably stay in Florida, with Ole Miss challenging for the commitment. Alabama is on the list for Keyshawn Young, but is not considered one of the favorites. The favorites include Michigan, USC, and Louisville. Look for Michigan to land the Miami product. Michigan had a major need for tight end which was satisfied by the commitment of Nick Eubanks. Nick Eubanks committed to Michigan over Alabama and Florida on 1/28/16. Jamar King is a JUCO transfer who was a late find in the recruitment world. Don’t let the 3 star rating fool you, he is a very talented defensive lineman. It will be a close competition between Alabama and Ohio State down the stretch. Look for Alabama to pull this one out.